J65 at Hotel Jen Tanglin Singapore has done it again. 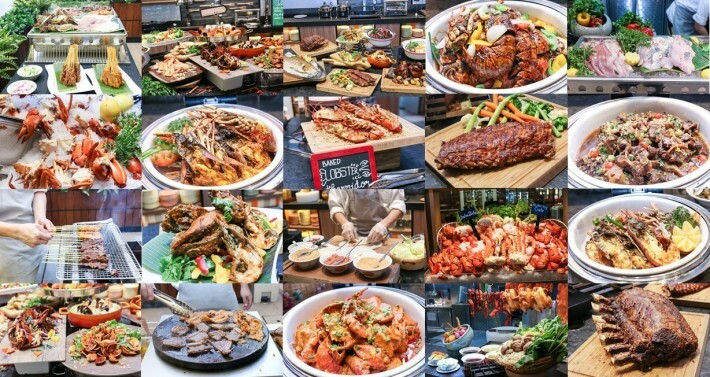 Already established as one of the best places in Singapore for affordable hotel buffet spreads, the team at J65 has curated a lineup of 5 new thematic dinner buffets which include Live Barbecue, Lobster, International, Seafood and the best of Asian flavours. Lots to delight and indulge every night of the week, we’d say. 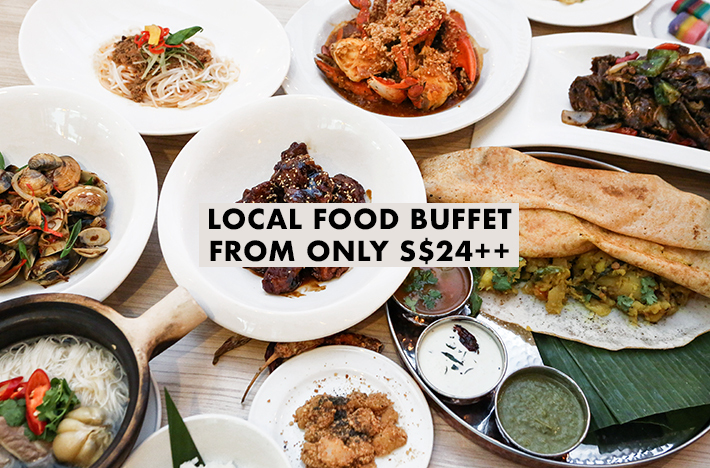 From now until 25th May 2017, quote ’ladyironchef’ upon making your reservation to indulge in an incredible spread of buffet dishes at S$79++ for two (U.P. 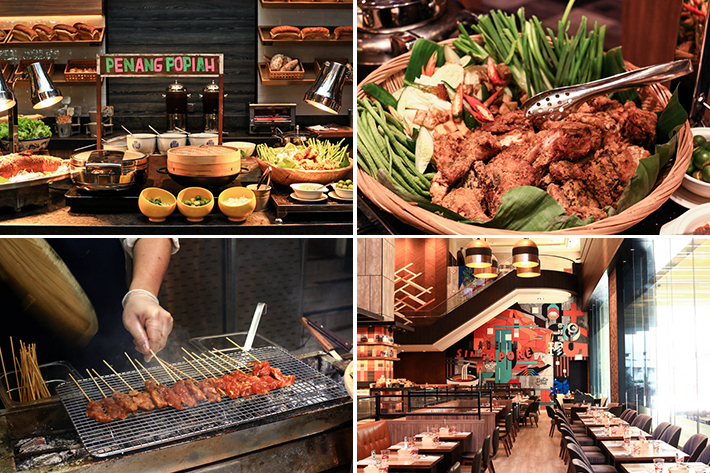 S$55++ per pax) on Sundays to Tuesdays and S$99++ for two (U.P. S$65++ per pax) on Wednesdays to Saturdays. Yes, in case you are still calculating, IT IS A STEAL. This March, the Pearl Of Orient Penang Fiesta makes its return to the award-winning 10 at Claymore, situated in the lobby of Pan Pacific Orchard, Singapore. 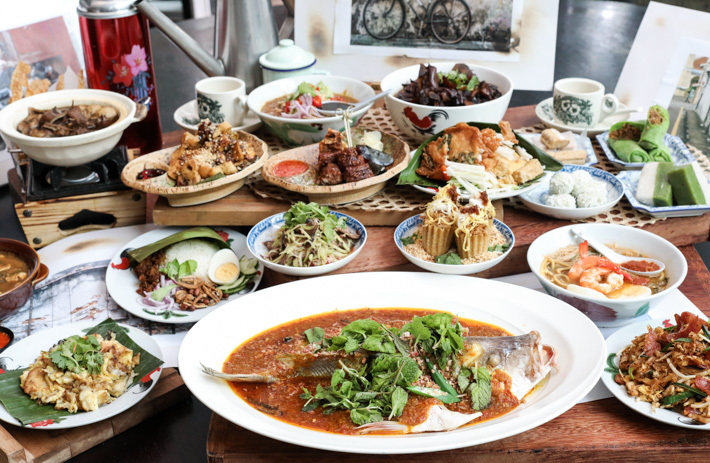 Since its debut last year, Executive Chef Andy Oh (who hails from the quaint town of Penang, Malaysia), has worked with his team to put together a big spread of authentic Penang dishes, which features iconic dishes as the tangy, spicy Penang Assam Curry Fish and the traditional Penang Bak Kut Teh. 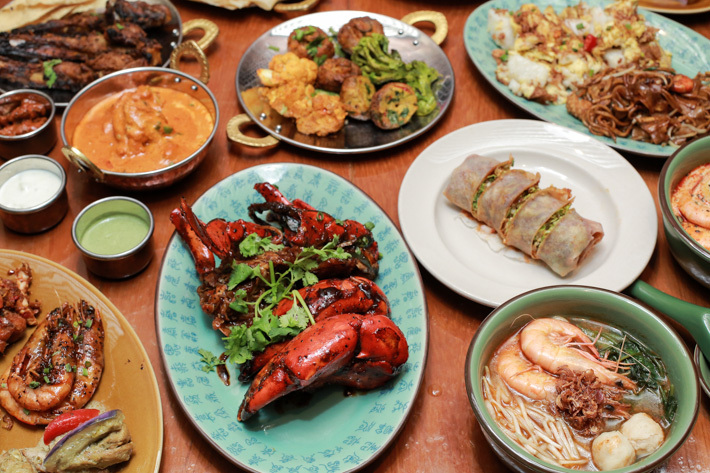 The Pearl Of Orient Penang Fiesta will only be running until the end of May this year, so be sure to make a reservation and have a taste of the finest and authentic Penang cuisine in Singapore. 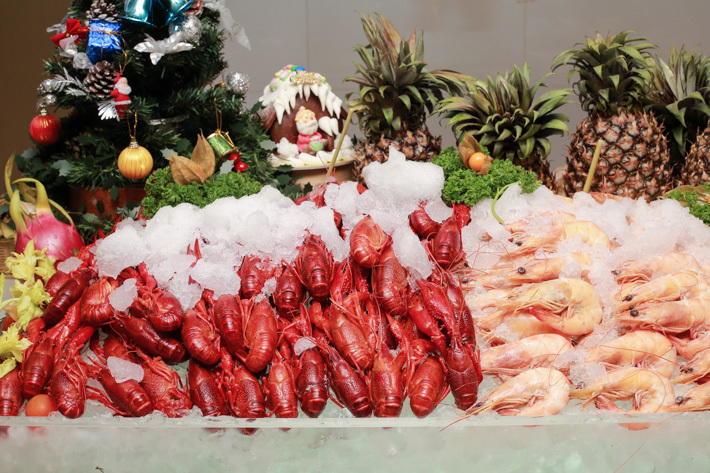 On top of the Penang dishes, the buffet also features fresh offerings of seafood, especially freshly shucked oysters, lobsters and scallops—you will get your money’s worth when you dine there during dinner. From 01 March 2017 to 31 May 2017, simply quote ‘ladyironchef’ to enjoy a Pearl Of Orient Penang Fiesta Dinner buffet at S$98++ for 2 persons. 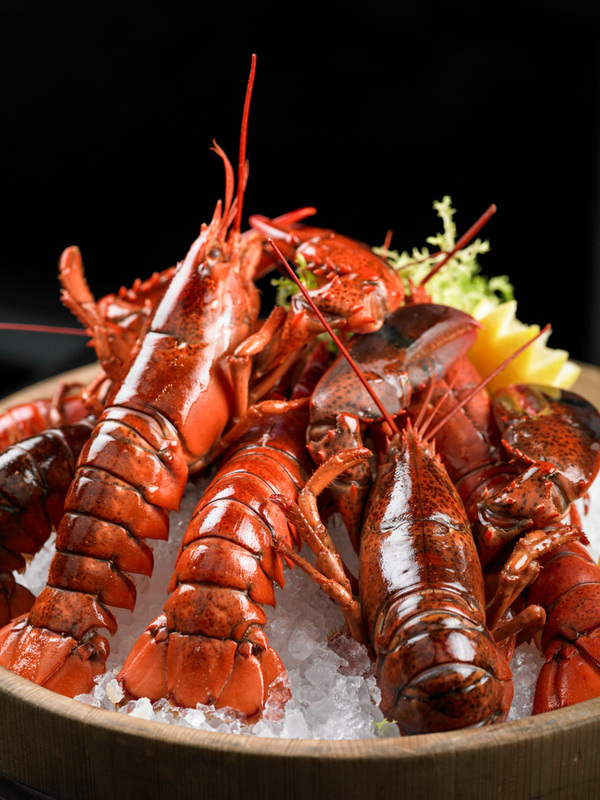 Spice Brasserie at PARKROYAL on Kitchener Road had everyone talking about them a few months ago with its value-for-money Lobster and Crab Buffet. And the awesome international buffet is back again this Christmas and will be available from 19 Dec 2016 to 01 Jan 2017. Look forward to an array of yuletide offerings such as Gammon Ham, Roasted Turkey, Fillet of Beef, Log Cakes and whatnot. Also, Spice Brasserie is showcasing an incredible dessert room decked out in Christmas ornaments and over 38 types of sweet treats. Your little ones can keep themselves occupied at the Kids’ Corner with fun-filed activities, i.e. face painting, balloon sculpting and sand art on Christmas Eve, Christmas Day and Boxing Day. The best part? Prices start from S$40++ per adult for the Festive Lunch Buffet and S$48++ per adult for the Festive Dinner Buffet. Here are the highlights of Spice Brasserie’s Festive Buffet for Christmas 2016. 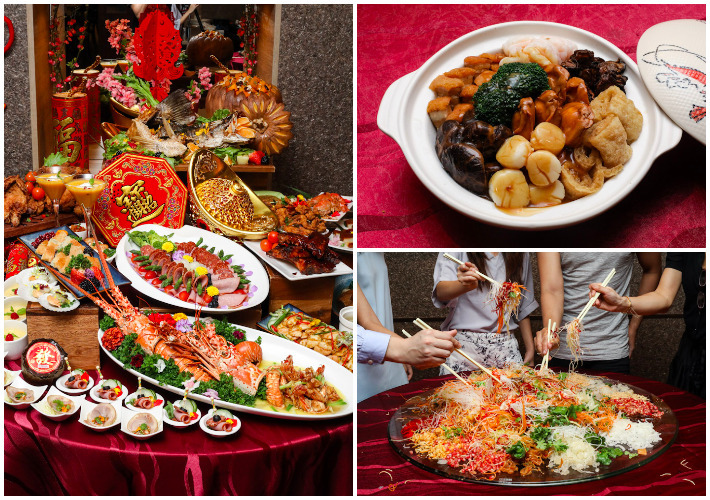 10 at Claymore at Pan Pacific Orchard, Singapore has been impressing with their luxurious, star-studded buffet spreads. Remember the two sell-out Penang Fiesta and the Oysters buffets? Of course you’d remember them because they were absolute value-for-money spreads. 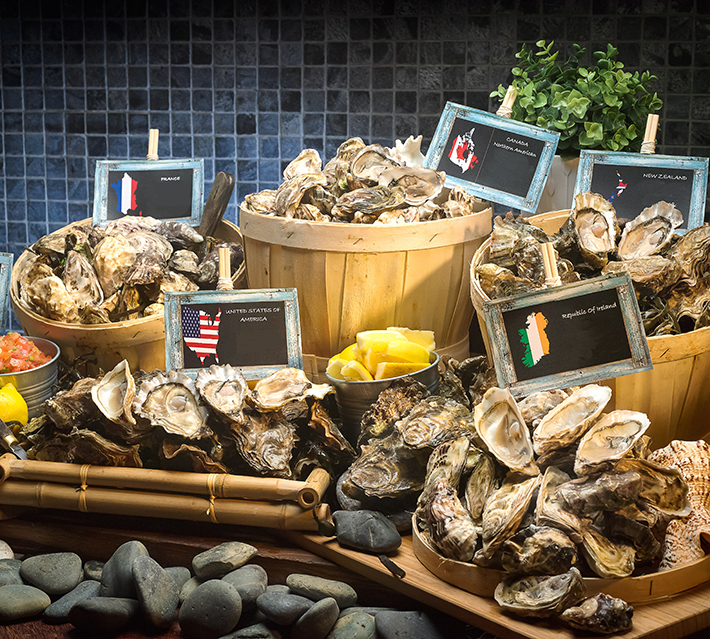 The good news is, from 01 October to 30 November 2016, 10 at Claymore will bring back the best of both worlds with Magni-feast-cent Affair – a line-up complete with fresh oysters, premium meats and Penang fare. Exclusively for readers of Ladyironchef, enjoy the buffet at a special price of S$98++ for two pax on Mondays to Wednesdays for dinner. Here are some highlights you can anticipate from the spread.